Your employees are the key drivers of your customers’ experience. 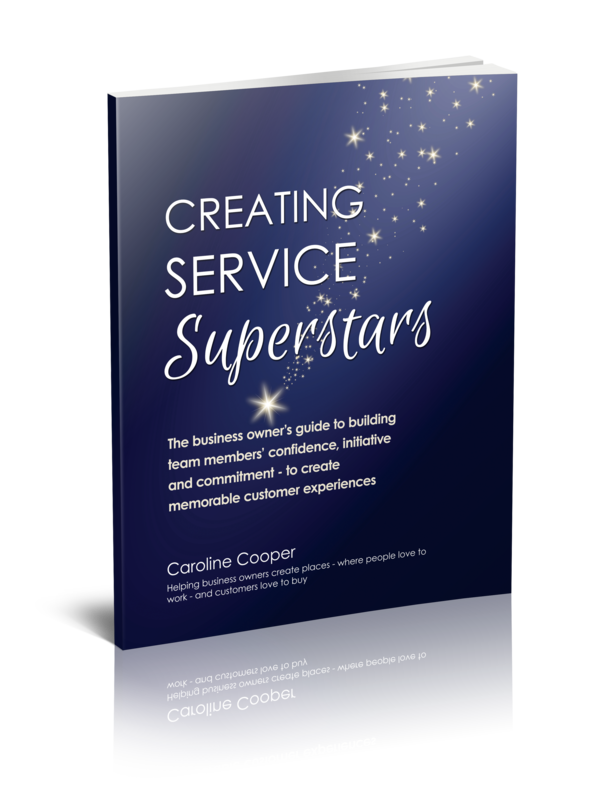 In this book I guide you through the stages to developing a true service culture and creating your own Service Superstars. It’s the experience you create for customers that gets remembered. Getting your brand’s customer experience right can be the number one way to differentiate your business from your competition. “I love love love your book. I can hear you in the pages. Much of what we discussed is echoed here in your book. This tells me that you have a command of your craft and are a true subject matter expert. “I find the book extremely easy to read and easy to follow. I love how your examples cover various industries. I find the “Actions” section at the end of the chapters very helpful. “I consider you an authority on the topic and am so humbled you asking me to read your book pre-release." “I think it is fabulous, I started off thinking this is exactly how I think and I want to give it to my staff telling them that this is what I am talking about, please read it three times over and start embracing! I think for some people it will be a light on moment." “Caroline’s new book is a treasure trove of ideas for any customer service team member – and any manager or leader involved in this critical area of the business. In fact – it should be mandatory reading for anyone who touches a customer – regardless of their job title or function. “ Creating Superstars is an essential guide for the service industry, whichever sector you work in. This book brings to life Caroline’s extremely effective customer service workshops. Starting with a clear vision from the leaders to enthusing the team and generating that essential oxygen of customer loyalty. The service your customers receive and how this leaves them feeling is your single biggest marketing opportunity. It becomes part of your brand and the number one way to differentiate your business from your competition.